Having a bit of trouble blending your Crown Topper? Keep reading to find out an easy way to do it! When you get your Crown Topper in the mail, make sure to remove all plastic and wrappings. Next decide if you would like to have a side part or a part down the middle. Most ladies like a slight side part because that’s how they wear their hair naturally. We recommend taking about and inch thick of hair directly where your part will start in the front and comb the hair backwards to tease it. Teasing this hair will help secure the clip into place. Take your Crown Topper and using the front clip where the part starts, scoop under the teased hair and clip it down. Once the front clip is secure, you can start clipping down the sides and then the back. Don’t scoop the sides and back clip, because if you do, it will cause your natural hair to bunch up underneath the Crown Topper. Once the Crown topper is secure on your head and all the clips are clipped down properly, go ahead and start brushing carefully through the Crown Topper and your own hair. 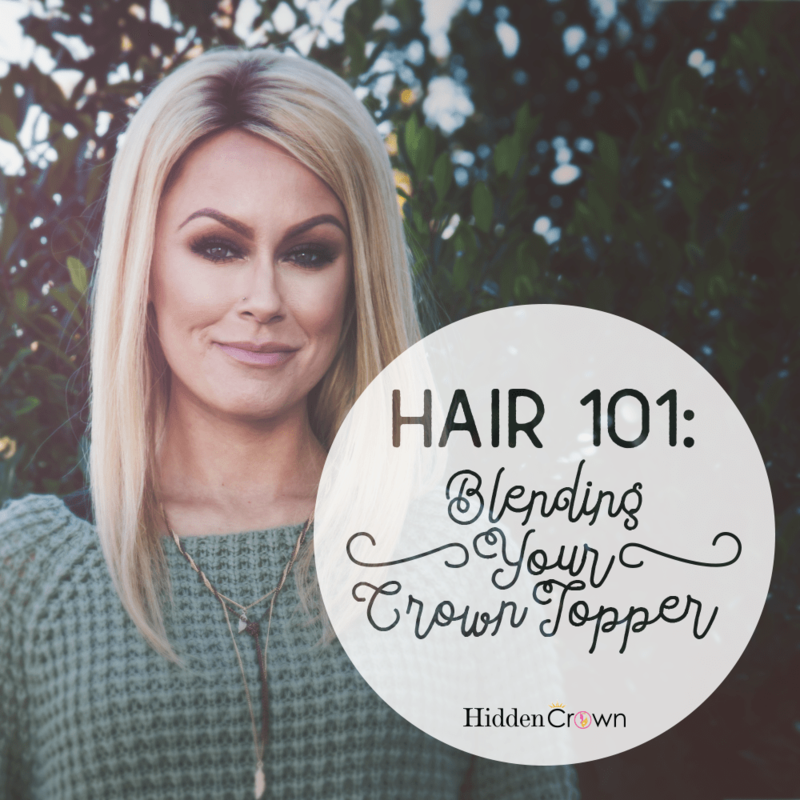 You can always curl or straighten your hair as well once the Crown Topper is placed to help blend it even more so. The heat will blend your hair and the Crown Topper together which will help make it look more natural. If you are still having trouble with this please feel free to email us at contact@hiddencrown.com.